Tea Happiness- A blog on tea drinking, tea history, tea industry interviews, NYC tea experiences! : Best. Tea strainer. Ever. I picked this up today at the Pylones store in Grand Central Station. 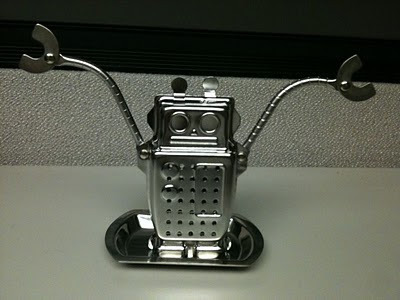 It is just the cutest little tea strainer I've ever seen!! Major Tea Happiness!!! !